During the Cisco Partner Summit in San Diego Fast Lane received the Cisco Learning Partner of the Year award for the North region. Peter Karlstromer, Managing Director Cisco North, and Edwin Prinsen, Managing Director Cisco Netherlands, who handed over the award, mentioned the growth Fast Lane realized through the past year and the involvement of Fast Lane with the Cisco channel partners. Cisco's North region exists of the countries The Netherlands, Belgium, Luxembourg, Denmark, Estonia, Finland, Iceland, Latvia, Lithuania, Norway and Sweden. Herman Goedman, Managing Director Fast Lane Benelux: "We're proud to have received this award. I would like to thank our customers, partners, instructors and suppliers for their contribution. Without their trust we would have never won this award. Thank you!" 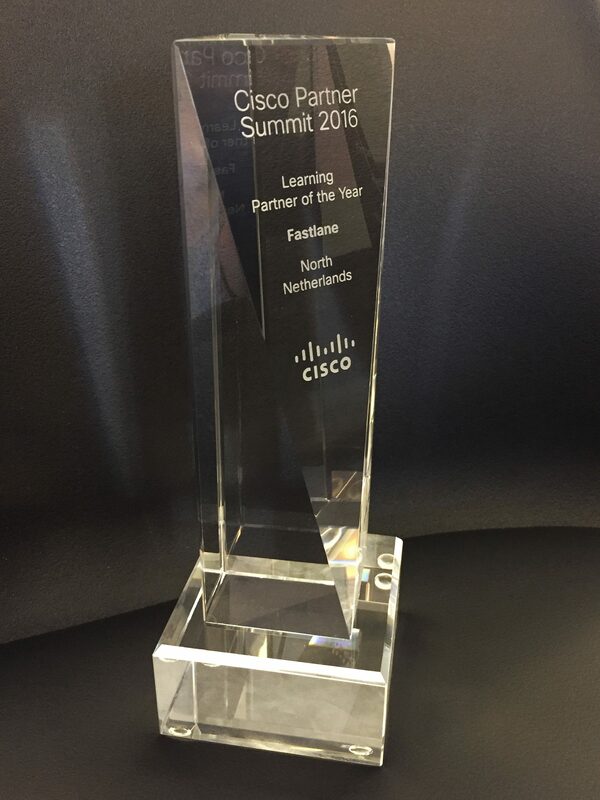 Earlier this year Fast Lane won the award for Cisco Learning Partner of the Year in The Netherlands. Would you like to know more about the Learning Partner award or about Cisco courses and/or certifications? Don't hesitate to contact us. We'd be glad to assist!